To Earn Money with Pay Per Click... The Key Is "Relevance"
Learning how to earn money with Pay Per Click is quite easy once you understand the overall concept of “relevance” discussed below. Using paid ads to drive sales is certainly not a new idea. Once only available to the big ad agencies, with the advent of Facebook, Bing Ads, and Google AdWords the ability for an average marketer to reach a highly segmented and targeted market is now possible. To make money with PPC, the first part of setting up any campaign is finding your keywords to target. Buyer intent keywords. The second thing to keep in mind is keeping your ad copy relevant to your target keyword phrase. 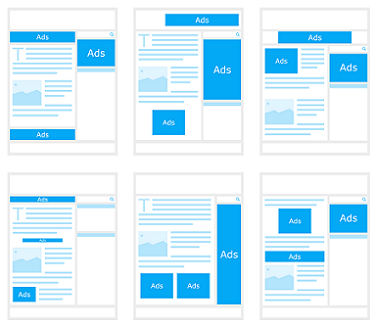 You want to have only a handful of similar keywords in each ad group, to help with tracking. The proper selection of keywords is something that may take some refining over time, this is something that you’ll get better at as you get more tangible data to look at (Click-Through-Rate [CTR] and conversions). But the most important factor is the keyword tool itself, which must give you accurate search and competition numbers so that you aren’t over spending on a per click basis. More specific longer keyword phrases (exact long-tail keywords) are cheaper to bid for. Most affiliate marketers starting out think that going for high traffic keywords results in more sales, however the opposite is true. And going that route can result in burning through your ad budget without any sales. Shorter keywords that are broad in nature usually get the most traffic and will result in a higher number of clicks, however conversions will be poor. You want to target longer phrases that are more targeted with less traffic, but when you get clicks they’ll be more likely to convert. In the Pay Per Click (PPC) world of today, whether you’re using ad networks, Facebook Ads, Instagram, Google or Bing Ads, one thing still holds true; the secret to success with PPC is “relevence”. So when you are creating your ads and targeting an audience, what determines a successful campaign from a dud? The fact that you are earning more than you are spending determines if your campaign is a success or not. Even if you have a small bit of traffic, it’s probably going to be the most profitable for you in the long run. The reason why this is the case is that those who are searching for a specific item related to any product or service is looking for the right solution. If you can provide the right solution at the right time for the right people you will most certainly make a sale. Rather than making little to no money from people clicking random ads within your site and then losing that traffic; internet and affiliate marketers, as well as companies looking for more targeted traffic, are setting up a campaigns to bring traffic to their newly created offers/pages. This also has a positive SEO affect on their rankings within the search results because of the instant traffic that this creates. This now only takes minutes, however, doing this the right way would take some more planning than just a couple of minutes. Advertising your business or product affordably online is now available to almost everyone who the will to learn how. But the key aspects of setting up your Pay Per Click campaign for better click through rates is something that is easy to understand but can be difficult to master. There are a lot of moving parts to any PPC campaign and you should be fully aware of what those parts are before you move ahead. The second part of the PPC campaign is obviously the text of the advertisement. The title text should have some aspects of the keyword involved in order to maintain relevancy and keep the automatic scoring systems from lowering your quality score. Having a high quality score is crucial to keeping your advertising bid amounts within normal limits to ensure your ads show. You may find there are some software programs that can help you create these ads for you using your selected keywords. This software does help; however, what will get your prospects attention and therefore allow you to get more visitors cannot be automated. Use some creativity and common sense. Some affiliate offers give examples of good copy within their promo material. Being creative and maybe even a bit edgy can garner a lot of attention for a short amount of time. The third part of any pay per click campaign is what is known as the “landing page” or the page where you end up after clicking on the advertisement. This is another crucial aspect of advertising correctly. If someone says “50% off sale” and they land on a homepage and there are no sale items seen on that homepage then clearly that could be a bit misleading. You want to make sure your advertisement and your landing page match up. Each element of your landing page should match up with the intent and text of the advertisement. Does this mean you may have to create multiple landing pages for each keyword? That certainly is a possibility, and fortunately there are automated programs that help with the creation of these landing pages. You will see that the keyword, text of the advertisement, and the landing page all have to work together in concert with each other to garner the maximum result. Even the photos you use for one type of keyword may not help out with a different keyword. Testing various combinations of these keywords, text of the advertisement and the landing pages is crucial to becoming profitable. What you may learn with any PPC campaign is the keywords and phrases that allow you to make the most money in your field. You can then use that information to target those same keywords for Search Engine Optimization to arrive at the best result for everyone. There are several ways you can test each landing page and keyword combination. The most common manner is what is known as an A/B test. The A/B test is testing the control or the “A” against any changes or the “B” landing page/keyword/ advertisement text combination. These tests are frequently performed by large ad agencies and can significantly garner a lot of information regarding your target market. 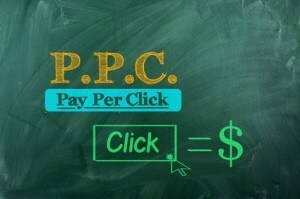 PPC advertising is becoming more and more a part of any software platform. Your mobile device may have some apps that allow PPC ads to be displayed on your behalf and as a result you may be a part of much larger ecosystem of entrepreneurs and advertisers that are out in the market. To learn more on how to earn money with Pay Per Click we suggest signing up and going through the lessons offered for free at our top recommended online community Wealthy Affiliate. 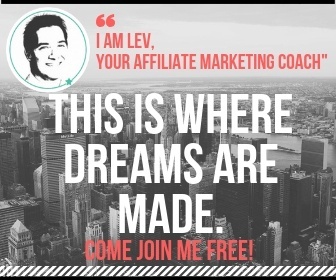 I have also done a full Wealthy Affiliate company review here. The reason why this is the case is that those who are searching for a specific item related to any product or service is looking for the right solution.